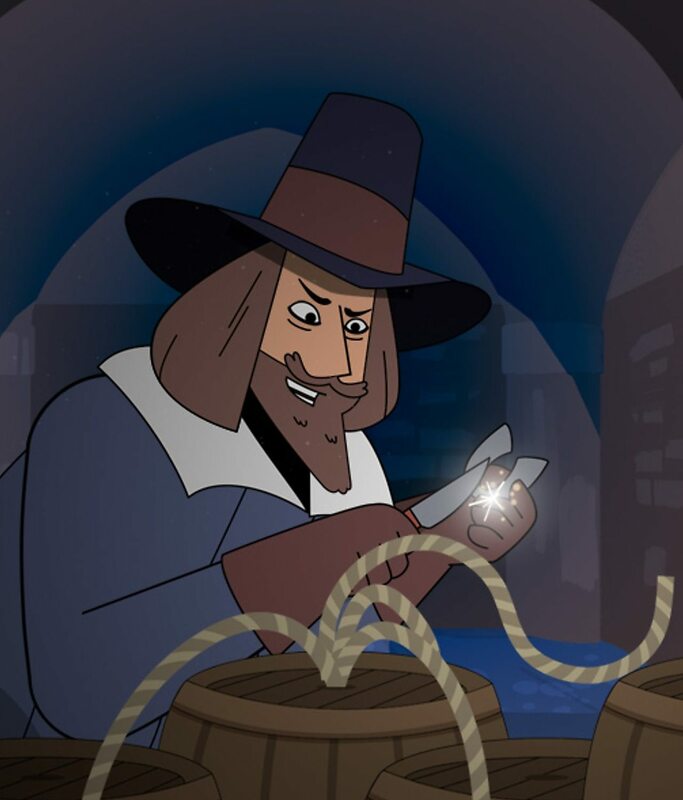 Guy Fawkes was born in April 1570 in York, England. His parents were Protestants but during his childhood Guy converted to Catholicism. 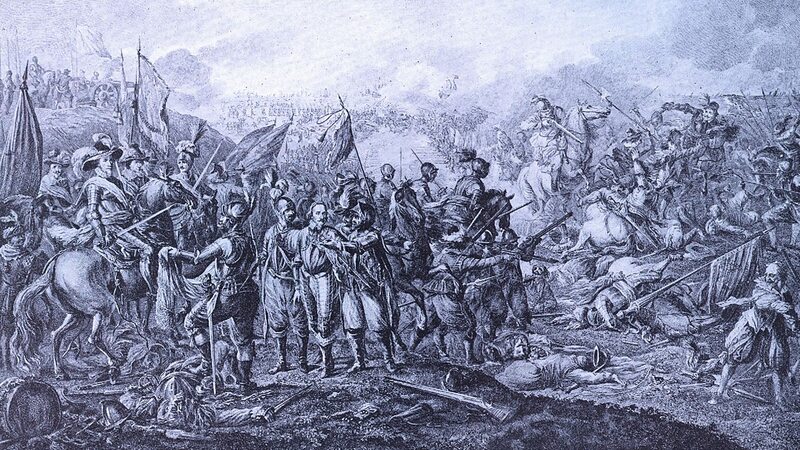 When he was 21 he left England to join the Catholic Spanish army, where he fought in the Eighty Years War. During his time in the Army he adopted the Italian version of his name and became known as 'Guido'. In 1594 he joined a group of fellow English Catholics, led by Robert Catesby, in a plot to blow up the Houses of Parliament in order to kill King James I and his Government. 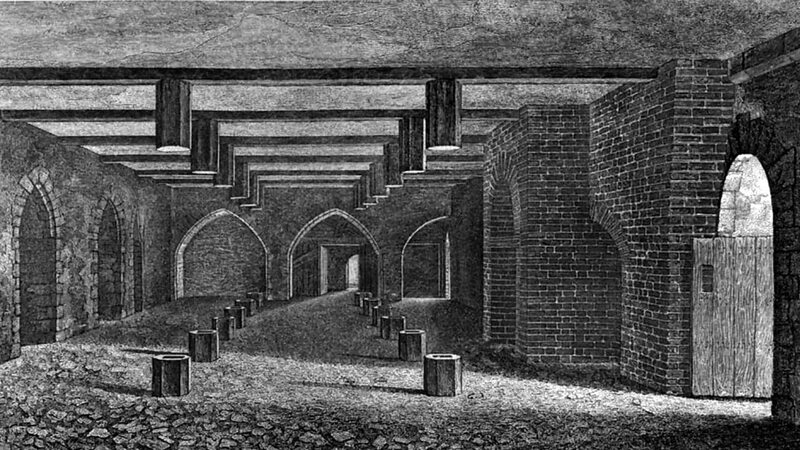 Fawkes was responsible for lighting the fuse to the barrels of gunpowder, which they hid under the Houses of Parliament. Spoiler alert - The plot was unsuccessful and Guy was caught and punished, along with the other conspirators. Guy Fawkes is remembered today because of the failed plot. 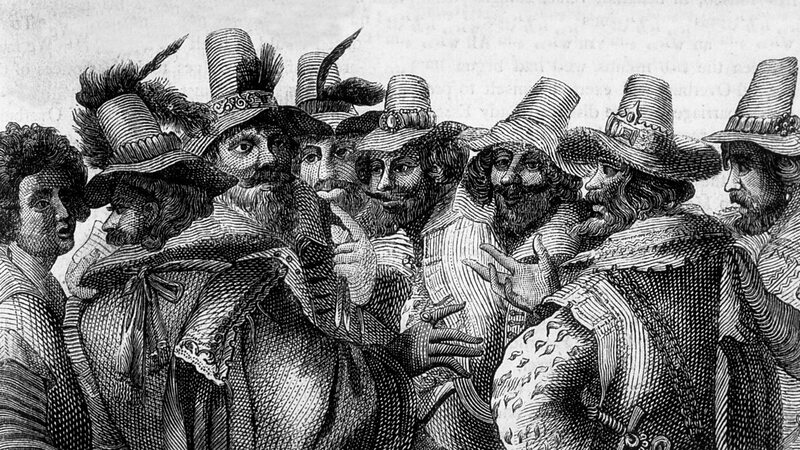 Click through the images to explore the life of Guy Fawkes. 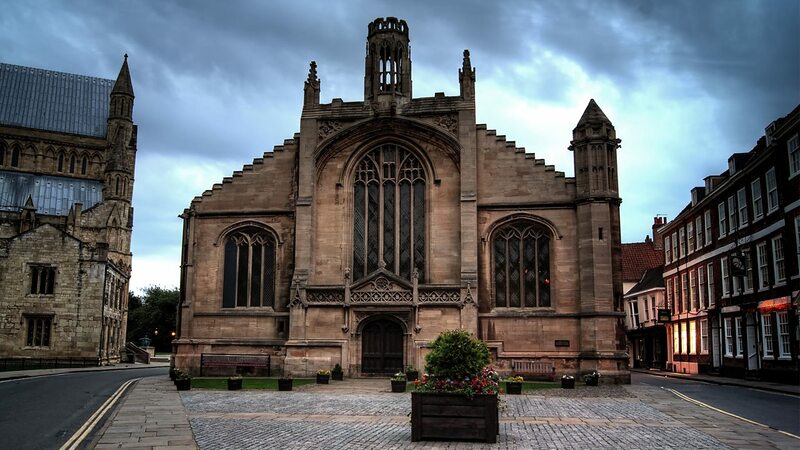 Here we see St Michael le Belfrey Church in York. On 14 April 1570, Guy Fawkes was baptised here. During his childhood he was raised as a Protestant. After his father's death his mother remarried to a Catholic man and Guy converted to Catholicism. By 1595 Guy Fawkes had left England to join the Spanish army, fighting in the 'War of Religion'. During his time in the army he became an expert in explosives. After leaving the army, Guy (then known as Guido) visited Brussels where he met a man named Thomas Wintour. 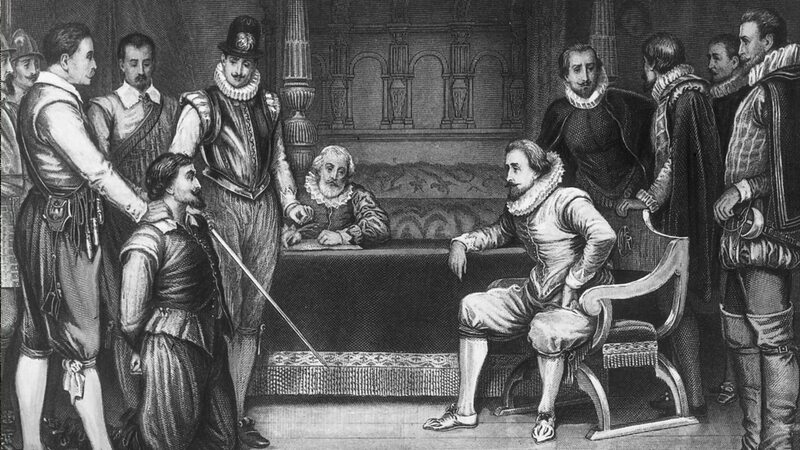 Guy was invited to join a plot, under leadership of Robert Catesby, to kill James I. This plot would later become known as the Gunpowder Plot. Guido Fawkes agreed to join the plot. As an explosives expert, his role was to guard the barrels of gunpowder and, when the time was right, light it up. 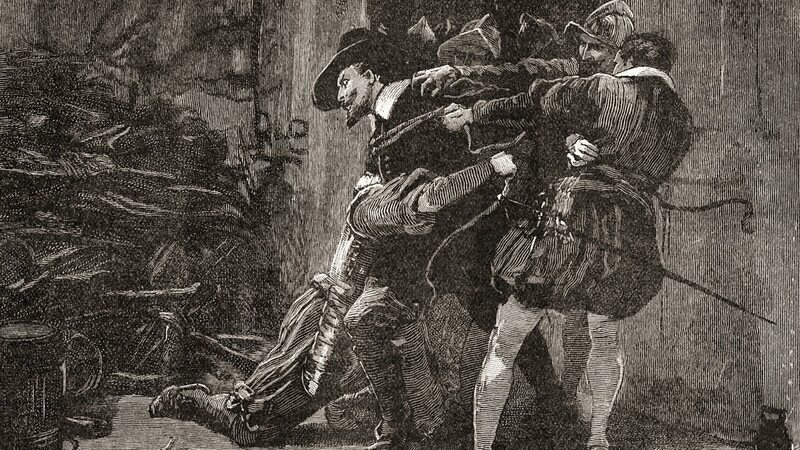 On 4 November 1605 the Parliament cellars were searched and Guy Fawkes was found and captured. The following day, 5 November 1605, Fawkes was questioned. Initially he lied by saying his name was John Johnson. However, after days of torture he confessed and exposed the whole plot. He even gave over the names of all other people involved. 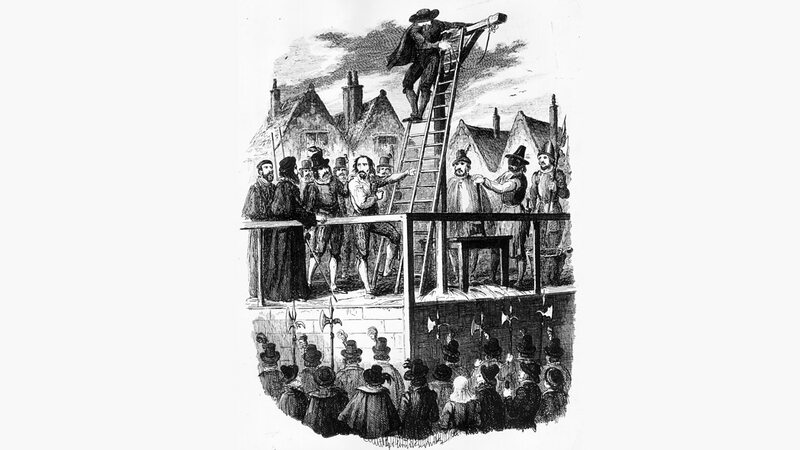 Fawkes was sentenced and on 31 January 1606 was taken to the Old Palace Yard in Westminster where he was to be hung, drawn and quartered. To escape the embarrassment of this, it's believed that Fawkes jumped from the gallows, breaking his neck. 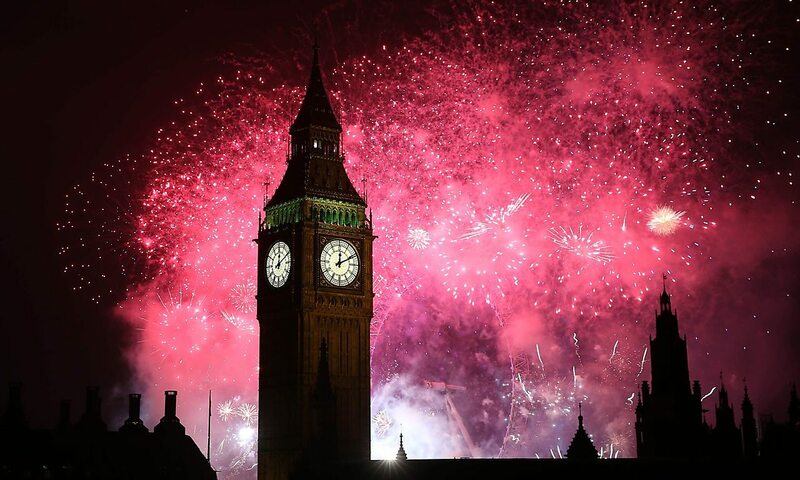 Over four hundred years after the Gunpowder plot, we still remember how Guy Fawkes and his fellow plotters failed to blow up Parliament and kill King James I.
Bonfire night is celebrated every year on 5 November. Bonfires, fireworks and sparklers are lit in parks and gardens all over the country. Sometimes we even burn a dummy called a ‘Guy’ on the bonfire. 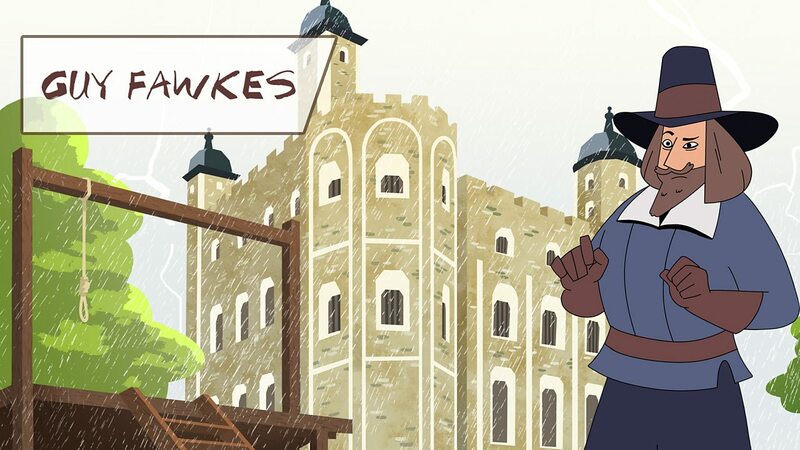 This is supposed to represent Guy Fawkes. Since the Gunpowder Plot, whenever the King or Queen visits Parliament, there is a tradition that the royal bodyguards, called the Yeoman of the Guard, search beneath the Houses of Parliament for any potential plotters hiding explosives. Next time you're watching fireworks on Bonfire Night remember what November 5 is really about.